Gabe has been brought up with Bree, since he was nine years old when his parents died. Now he's twenty six and been in love with Bree for the past seven years. She's coming home for the holidays and has him so tied in knots he can't think straight. 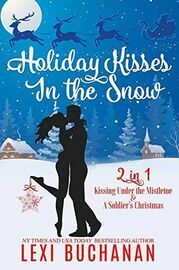 Bree avoided going home for the holidays last year because she didn't think she'd be able to handle being around Gabe, the man she's in love with, who she thinks she can never be with. Or can she? To begin with both Gabe and Bree sneak around together and eventually Bree's mother finds out and accepts them as a couple, but announcing it to her father causes heartache with the bombshell he drops.